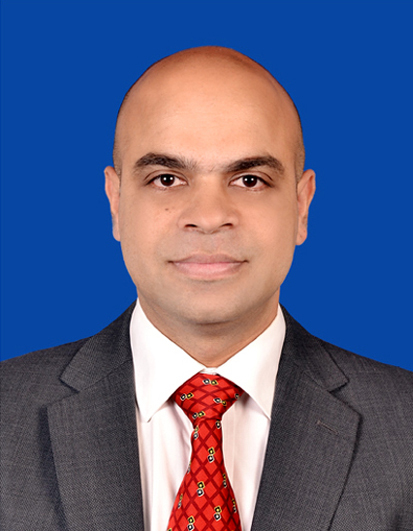 Dr Vimal has completed his MBBS degree from PSG Institute of Medical Sciences and Research, Coimbatore in 2000. He subsequently underwent MS (Ortho) training in SRMC, Chennai between 2002 to 2005 under the guidance of Prof. Marthandam and Prof C. Subramanian. He was awarded Gold Medal for best outgoing student in MS (Ortho). He moved to UK in 2005 and acquired Membership of Royal College of Surgeons (MRCS) in 2008 and Fellow of Royal College of Surgeons (FRCS) in 2016. Further Fellowship training in Shoulder and Elbow surgeries in 2017. Dr Vimal had started his orthopaedic training with Dr Venkat, Coimbatore. He helped to organise many National and International orthopaedic conferences during his undergraduate days. He had presented many scientific papers in Local and National orthopaedic conferences during his postgraduate period. After his MS (Ortho) degree in 2005, he seeked further training in UK and had underwent training in London, Manchester and Glasgow. Having had training in Joint replacements, Computer assisted Surgeries, Trauma and Arthroscopy (key hole) surgeries in Scotland, UK, he further underwent subspecialty fellowship training in Shoulder arthroscopy (key hole) and Shoulder Joint replacement surgeries in Stockton, UK. In 2017, he joined the KMCH orthopaedic team as a Consultant Orthopaedic Surgeon. Clinical research on evaluation of blunt trauma victims with Modification of Trauma scores applicable to Indian blunt trauma patients. Role of NGF incorporated collagen in non-healing ulcers. Trauma scores as a prognostic indicator for blunt injury patients in India; Journal of orthopaedics, Jortho.org; 2006; 3(4) e2.